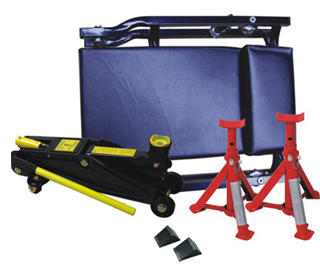 Jack Stands are used for supporting the automobile for safety. 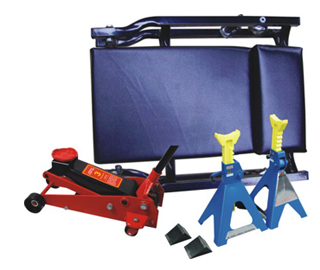 They are stands whose height may be adjusted and which are used to support an automobile that have been raised by a jack. 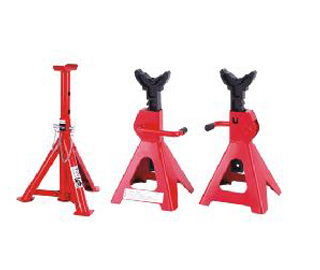 One pair of jack stands. Patented safety pin design adds extra security when working beneath vehicle. Ratchet type for fine adjustment. Solid steel handle with self-locking ratchet. Large saddle and welded frame construction. Large area feet resist sinking into asphalt.